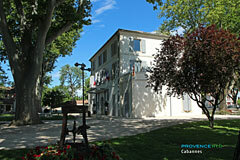 Departement of the Bouches du Rhone - Population : 4.497 inh. 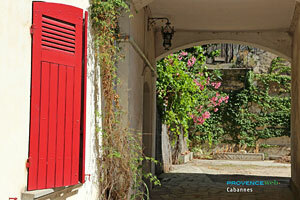 15 km east of Cavaillon and 18 km north west of Saint Rémy de Provence. 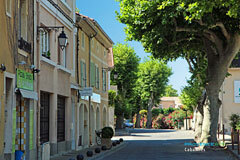 Cabannes is a charming little village in the Alpilles situated on the border between Bouches du Rhône and du Vaucluse in the fertile Durance valley. It is very easy to go walking from Cabannes and visit a range of different places of interest without doing too much driving : Saint Rémy, Cavaillon, Les Baux de Provence, Avignon, Tarascon, Fontvieille... And it is only a little further to Arles and all the folklore of the Camargue, not to mention the famous villages of the Luberon, to the east of Cabannes. 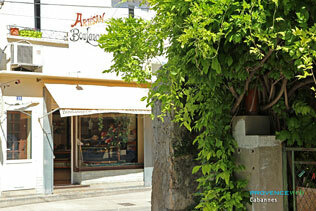 The village is surrounded by lush countryside, with cypresses, olive trees and orchards. If you have plenty of time, leave the N and turn on to the little D74 which will take you to the village on a scenic route through beautiful countryside. 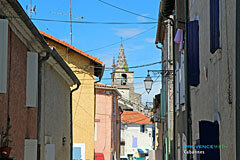 Once you arrive in Cabannes, you will find a village typical of the Midi. Walk along the narrow streets which wind around the church, with their old cottages, some of which have been carefully restored, although others are no longer in such good repair. Through the open windows delicious smells escape and in the shade, shopkeepers take a breath of fresh air between customers. 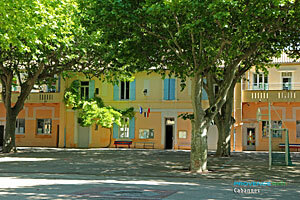 A little further on, in the Place de la Mairie, in the shade of huge plane trees, there are lively games of pétanque, with people chatting together, commenting on the game and making jokes… in short this a place to enjoy yourself and savour the cheerful atmosphere of the village. 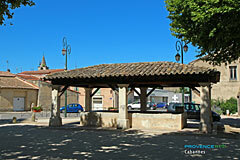 There is little in the way of historical heritage and monuments to see in Cabannes: The parish church was built at the end of the 12th century and the beginning of the 14th century. Over the years it was extended and altered. Little remains of the Romanesque church - the two side chapels were built by the two main ruling families of the period: François des Rolland and Louis Balthazar de Gérente de la Bruyère. 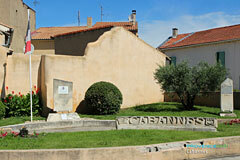 There you will find the coat of arms with a hunting horn which was assumed by Cabannes as its coat of arms. Parish church - end of 12th century, altered in the 14th century . The chapel of St Joseph and Chapel of the Rosary. Farmers’ market on Tuesday mornings and organic produce market on Saturday mornings. Saint Andiol (3km),Verquières (5km), Noves (7km) and Caumont sur Durance (8km).